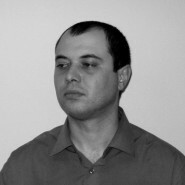 Peycho Kanev is the editor-in-chief of Kanev Books, NY. Kanev Books was established as an imprint and joint venture between Desperanto and author Peycho Kanev to be the leading imprint for selected poetry works.His poems have appeared in more than 400 literary magazines, such as: Poetry Quarterly, Contemporary World Literature, The Copperfield Review, Ann Arbor Review, Midwest Literary Review, Chiron Review, Third Wednesday, Steel Toe Review, Muddy River Poetry Review, Burnt Bridge, Front Porch, Istanbul Literary Review, Blue Fifth Review, 322 Review, In Posse Review, The Hell Gate Review, Word Riot, Eunoia Review, The Catalonian Review, The Houston Literary Review, Mosaic Art and Literary Journal, The Walnut Literary Review, The 13th Warrior Review, Mascara Literary Review, The Mayo Review and many others. His collaborative collection r, containing poetry by him and Felino Soriano, as well as photography from Duane Locke and Edward Wells II was published in the spring of 2009 by Please Press. Also in 2009 his short story collection Walking Through Walls (Ciela Soft and Publishing), winner of the national Rashko Sugarev Literary Award, and in April 2010 his poetry collection American Notebooks (Ciela Soft and Publishing), were both published in Bulgaria. His new poetry collection Bone Silence was released in September 2010 by Desperanto, NY. He is nominated for the Pushcart Award and lives in Chicago, U.S.